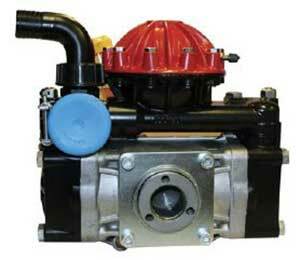 Graham Spray Equipment is now including AR diaphragm pumps, manufactured by Annovi Reverberi, among its selection. Annovi Reverberi is a manufacturer of diaphragm pumps used for lawn, tree and shrub care across 85 countries and provides private label pumps to the North American market. Graham will be using Annovi Reverberi’s AR-30, AR-40 and AR-50 pumps in the spray units it configures for customers. The A/R pumps, repair kits and AR-GI 40 pressure regulator are available on Graham’s online catalog of replacement parts.